Are you suffering with back, buttock, leg or foot pain/numbness? Do you find difficulty with even the simplest of activities like sitting, standing or walking? The bad news…you may be suffering from Sciatica. The good news…we have a very high success rate of finding the cause of sciatica, stopping the pain and helping people return to a more active and happy life! Stop Sciatic Pain So You Can Enjoy an Active Life! The Sciatic nerve is the largest nerve in the body. The nerve starts from roots out of your low back (lumbosacral spine) and travels down the leg all of the way to the tip of the big toe. Irritation of the sciatic nerve is called sciatica and can cause a range of symptoms. You might feel the discomfort almost anywhere along the nerve pathway, but it’s especially likely to follow a path from your low back to your buttock and the back of your thigh and calf. Dr. Logullo is a National Board Certified Chiropractor and Sports Medicine Specialist with over Seventeen Years of Success Helping Sciatic Pain Sufferers. There are many different causes of Sciatica that are too numerous to list here. One of the more common causes occur when the spinal bones misalign with accompanied spinal disc bulge/herniation causing pressure on the sciatic nerve. Another Sciatica cause occurs when the pelvic and lumbosacral joints misalign, accompanied by piriformis muscle pressure on the nerve (Piriformis Syndrome). There are also numerous other musculoskeletal problems that can mimic sciatica (for example myofascial pain like IT Band Syndrome). We have had great success helping people with these and many other types of back and leg problems. 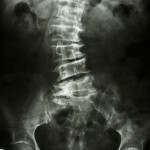 If needed, we have the ability to take spinal x-rays. Dr. Logullo interprets x-ray and MRI findings. The consultation is a very important starting point to help find the cause and the answers to your pain. Dr. Logullo will take the time to listen, REALLY LISTEN, to your individual history. He will ask important questions to help better understand the nature of your injury. This gives great clues on how to properly address your specific problem. If you are suffering with Sciatica we are here to help! Take action today and schedule your Free Consultation.